This happened to me a few moves back: the movers, who were moving our things to another country, arrived and began their assessment of our goods, deciding what to load first into the truck and to see if everything was properly packed. Turns out, they refused to move certain items unless we wrapped them to ensure they weren't damaged during the move. Since we'd hired a self-service mover instead of hiring a full-service moving company, we were responsible for making sure everything we wanted to move was properly packed. We usually had our things wrapped, but this time because of a lack of time, we'd forgotten to do it. And times when I'd forgotten before, the movers just smiled and wrapped our things without incurring an additional cost. In this instance, the movers did have plastic wrap with them and quickly set to work protecting our things. It was only after the move that I received a bill for the service. I was shocked and a little taken aback at the cost. But, really, it was my own fault for not being properly prepared. And since the movers did such an amazing job of getting our things safely to a new country, I paid the bill and swore I would never forgot to properly prepare our things before a move. So, with that in mind, here's a list of items you should wrap and protect prior to the mover's arrival. Remember,some movers charge and some don't. 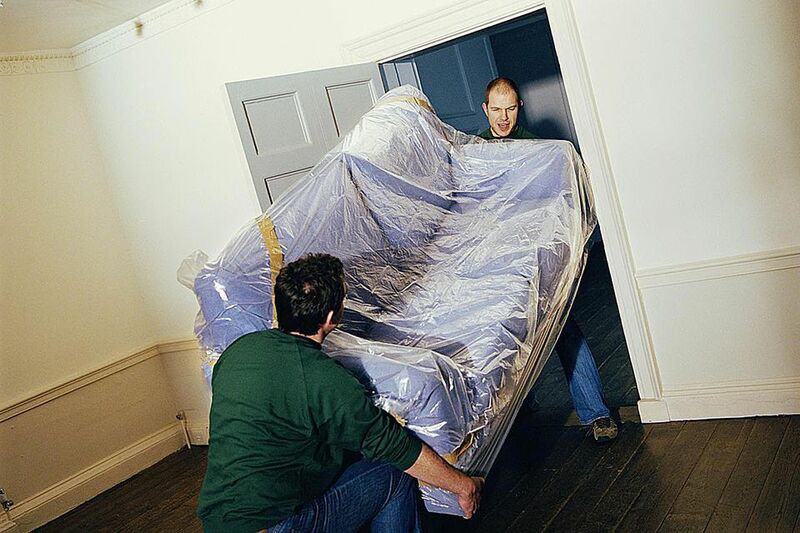 You should ask the moving company what their rules are - which items require plastic wrapping and how much they charge to do it - just to save you time and money. You also need to understand the difference between movers and what services are included and which is the best one for you to hire. Also remember that there are things that a mover won't move no matter how well you pack it. Know what you can't move and how to get rid of it before you start packing. Most large pieces of furniture that are susceptible to scratches and dents should be protected with moving blankets or pads. For items that can't be protected this way, use plastic wrap that will ensure items arrive scratch-free. Items include, furniture that is upholstered, including sofas, easy chairs, dining room chairs, office chairs and headboards. Awkward items are those pieces that don't fit into a box, that can't be wrapped in a blanket, yet they might get lost if packed into the truck on their own. Things like table or desk legs, shelves or curtain rods. It's a good idea to put loose pieces together using plastic wrap. Not only will it keep items from becoming lost and damaged, but you'll save the item's surface by using plastic and not tape to hold them together. Makes them easier to move, too. What about Dirty, Greasy Items, Can You Still Move Them? Outdoor items are often shrink wrapped. These include BBQ's, tools, oil cans and other garage items. Shrink wrapping toys, in particular stuffed animals, dolls and anything else that's difficult to pack into boxes can be wrapped. Large toys, awkward toys and things that might get lost otherwise should all be wrapped. Anything you can't pack in a box or protect with blankets and that might get scratched during the move, should be shrink-wrapped. Things like bulletin boards, large picture frames, desk fans, etc... Anything you're concerned about and value, yet can't be properly packed, could probably use a bit of plastic wrap. It's common sense, really. If you value it, protect it.